Create a set of short films that explain the Copernicus Climate Change and Atmosphere Monitoring Services that ECMWF carries out on behalf of the European Commission. 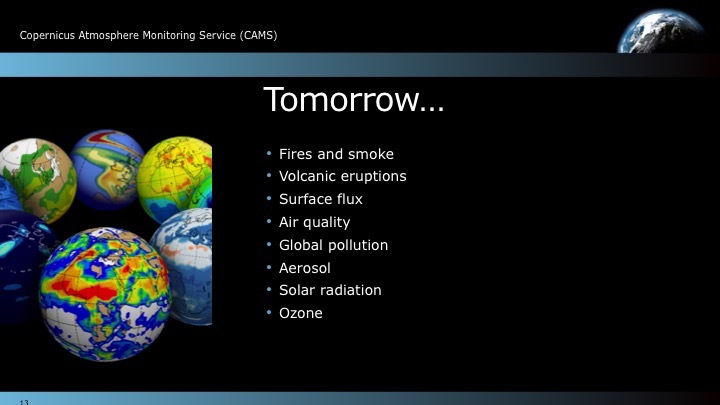 Carbon Visuals created a film that shows the overall Copernicus services, as well as separate films for each service. These films highlight our ability to help communicate complex services for the scientific community in ways that are not only true to the science but also make sense to a general, non-scientific audience. In addition we designed a set of PowerPoint slides for ECMWF scientists to use at key events. Copernicus is the European Union's (EU) flagship programme on monitoring the Earth’s environment using satellite and in-situ observations. Copernicus delivers operational data and information services on a range of topical areas. Slide from a PowerPoint presentation Carbon Visuals produced for this project. Carbon Visuals won the contract to provide resources for a digital campaign for UNEP who wanted to communicate and celebrate 30 years of international effort in protecting the ozone layer. During 2015 we created a series of animations, visual images, print and online interactive communication tools to help communicate what the ozone layer is, where it is in the atmosphere and what has been achieved under the ozone protection regime. An important part of this project was the creation of an interactive web-tool (see above) allowing policymakers to explore the database in detail in an intuitive way. We created a 'heat map' that allows comparison between a wide range of economic indicators for different countries. Mousing over the countries reveals the actual data. See in new and larger window here. Film for an on-line, interactive training programme aimed at mid-career, high-potential and senior managers using data collated in collaboration with the University of Cambridge Department of Engineering. 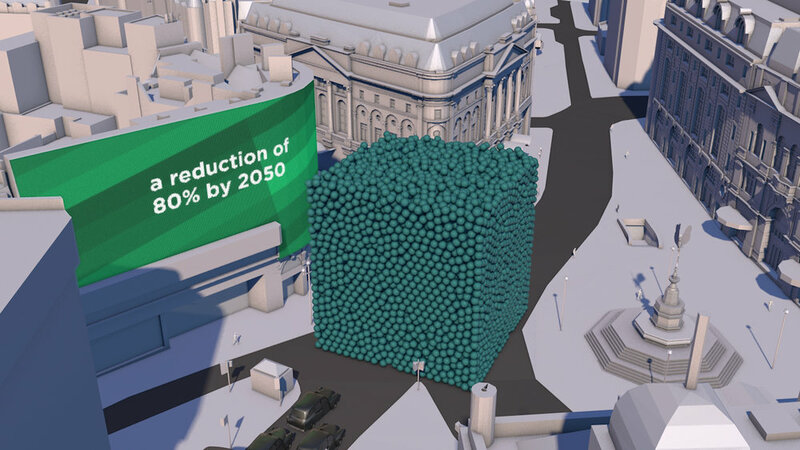 Film showing the current and expected resource use of all the world’s cars, as well as the CO2 emissions of cars today using data collated in collaboration with the Department of Engineering. The film is being used as part of an on-line, interactive training programme developed by CPSL and aimed at mid-career, high-potential and senior managers, the majority located outside of Europe and North America. It allows users to explore a simplified automotive industry value chain using data collated in collaboration with University of Cambridge Department of Engineering. The idea from the beginning was to make a film that was simple and fun. Our aim was to provide genuine new insight into the industry – not mere statistical insight but a powerful sense of scale that fills the gap between direct experience and numerical reasoning. See here for information on CISL's Business & Sustainability Programme (BSP) Online training. Note: 2005 data was used as this is most recent verifiable. Volume of CO2 attributable to Chevron in a room 5.4 x 5.4 x 2.7m at 400ppmv concentration. Volume of CO2 attributable to 'top five' investor-owned Carbon Majors in a room 5.4 x 5.4 x 2.7m at 400ppmv concentration. Volume of CO2 attributable to 'top ten' investor-owned Carbon Majors in a room 5.4 x 5.4 x 2.7m at 400ppmv concentration. Actual volume of CO2 emissions attributable to the top 10 investor-owned and state-owned fossil fuel companies, shown in units of 5 billion metric tons. To give a feel for the scale of the cumulative emissions and show the extent to which corporations are responsible. Key information from a huge array of data, conveyed in both conventional and novel ways. Amongst the visuals, perhaps most novel of all are the drink cans branded with well known names such as Chevron, Exxon, Aramco, BP and Gazprom which are presented as if filled – in the case of Chevron – or part-filled with carbon dioxide gas to show by volume precisely how much carbon dioxide is in a typical small room as a consequence of these companies’ extractions. At the other end of the scale, 2010 emissions alone are shown at a real-time rate over the course of one minute. The Carbon Majors project is the culmination of eight years of combing through publicly available records about fossil fuel extraction from all across the globe and detailed analysis of the data. 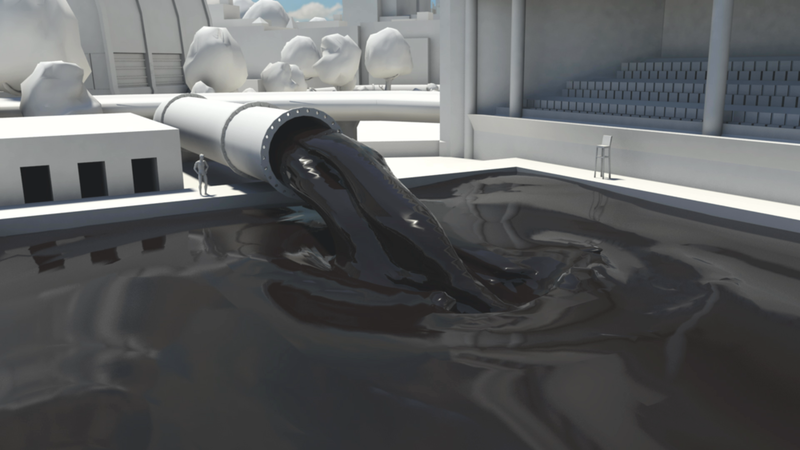 It covers oil, coal, natural gas and cement production from the 1850s through 2010. For the first time, the Carbon Majors report names the institutions responsible for extracting the oil, coal and gas that’s causing warming of the planet. Instead of allocating between countries, as has up to now been the case, any institution that produced more than eight million tonnes of carbon dioxide in any given year is identified in the study together with their cumulative contribution to the problem we all now face. This research report shows that 90 companies, countries and nationally-owned operations are responsible for extracting nearly two-thirds of industrial carbon and methane. 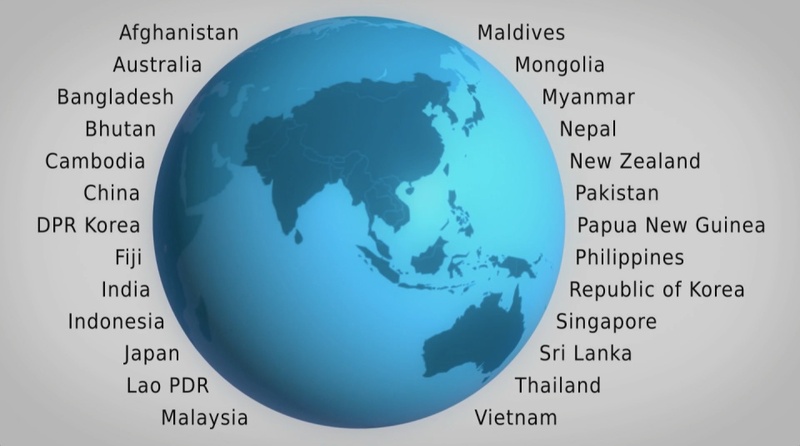 Fifty of these are investor-owned companies, thirty one are state-owned companies and nine are countries. 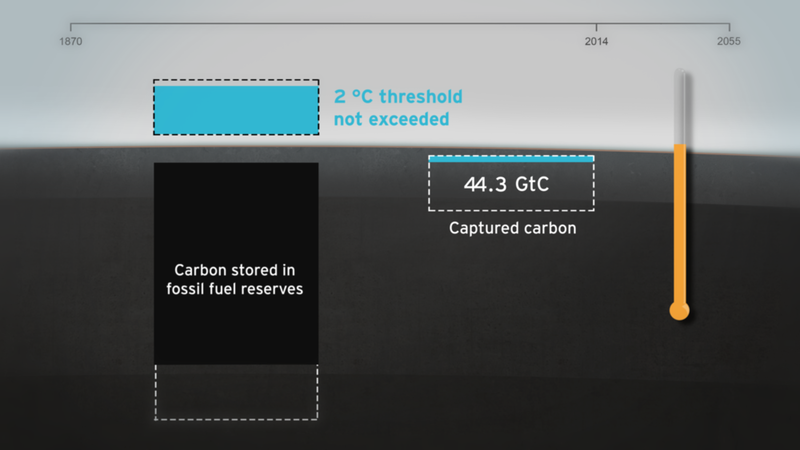 In order to help communicate the findings of this important new research, Carbon Visuals has worked closely with the Carbon Majors team to create a number of different and engaging images, animations and infographics. The aim is to help introduce a wide range of audiences to data within the report, including that important audience - the person in the street who has yet to make sense of carbon emissions and climate change. 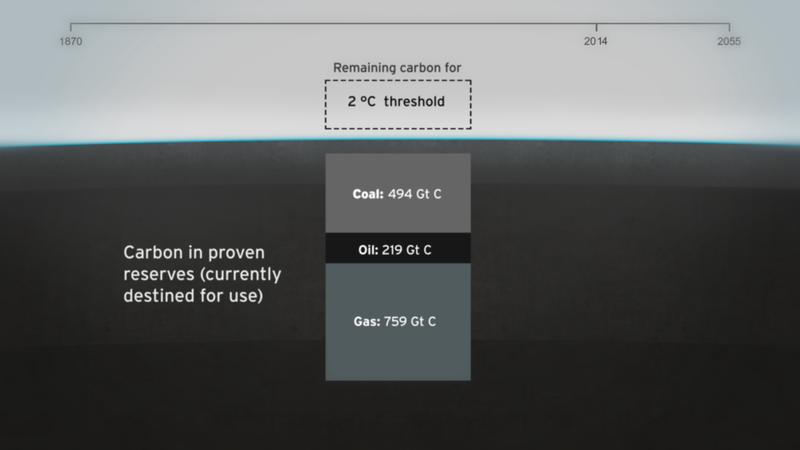 This interactive allows you to explore the Carbon Majors data, but also shows the remaining atmospheric carbon budget available to have a reasonable chance of keeping average global warming below 2 degrees Celcius. 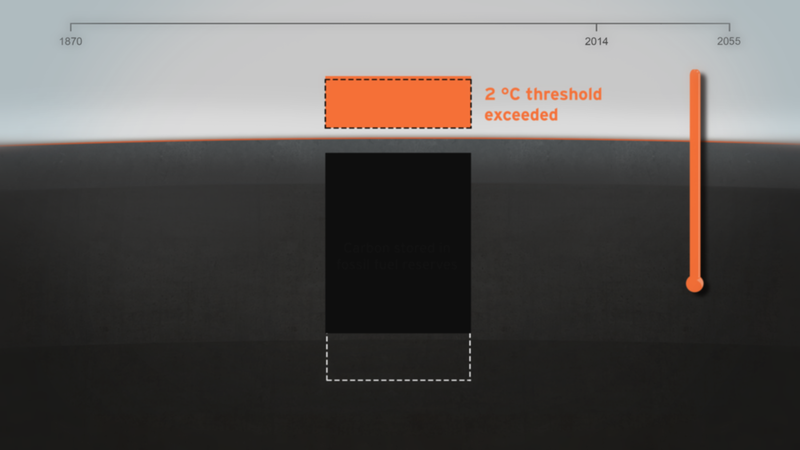 Move the slider to see the rapidly diminishing global carbon budget. 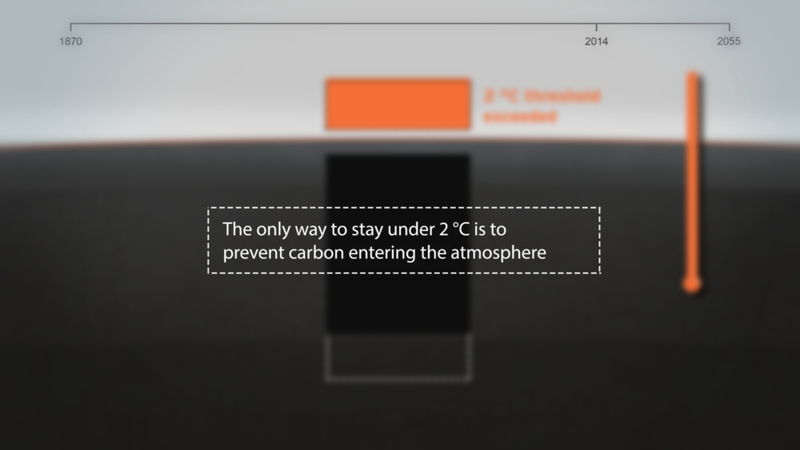 A short video experiment to show the realtime CO2 emissions attributed to 'Carbon Majors'. More information on the Carbon Majors Project including downloadable report and data here. To apply our developing visualisation approach to the challenge of engaging the ‘person on the street’. 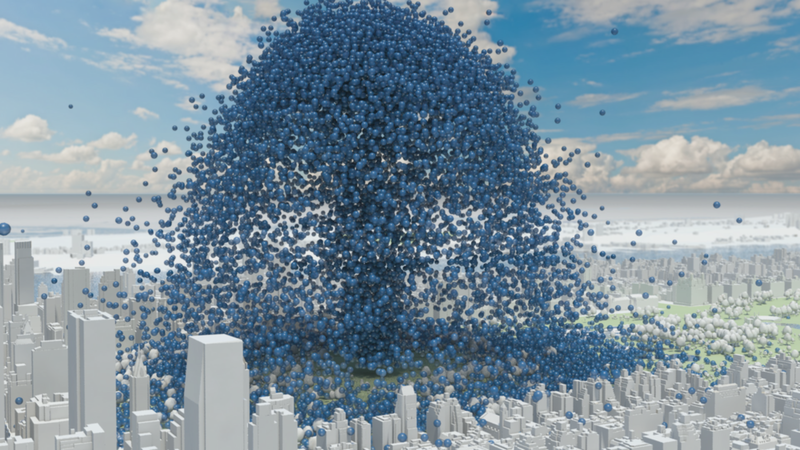 Dynamic animation showing total emissions and the rate of emissions of New York City and viewed over 300,000 times. 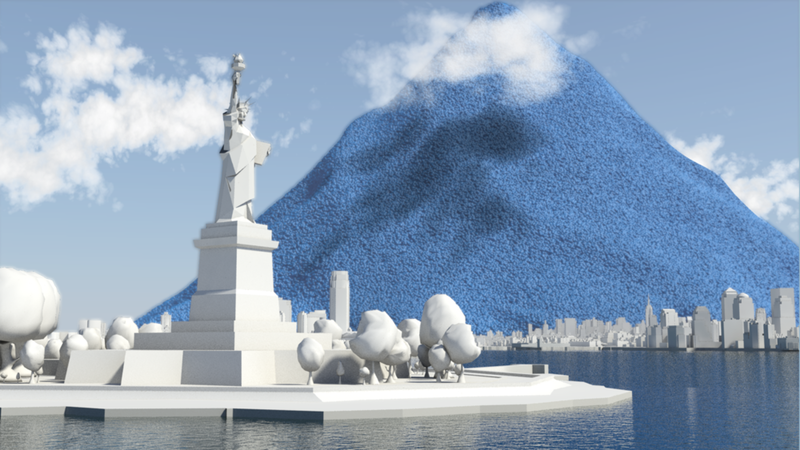 In 2010 New York City added 54 million metric tons of carbon dioxide to the atmosphere (75% from buildings, the bulk of the rest from transport) but that number means little to most people because few of us have a sense of scale for atmospheric pollution. Emissions in 2010 were 12% less than 2005 emissions. 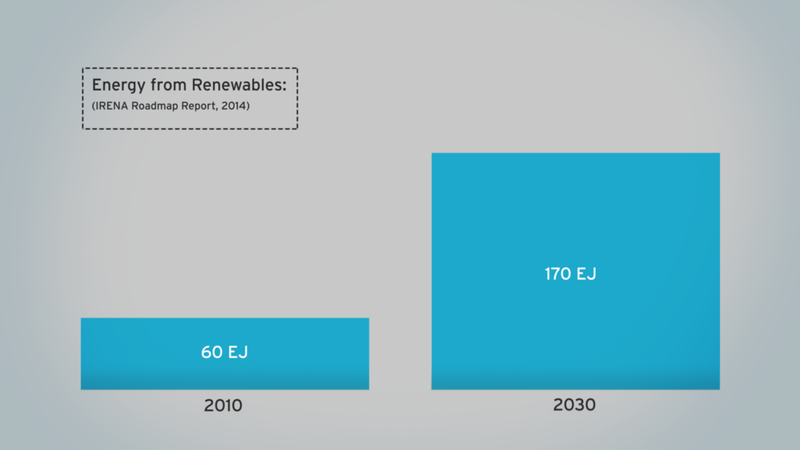 The City of New York is on track to reduce emissions by 30% by 2017 - an ambitious target. Mayor Bloomberg’s office has not been involved in the creation or dissemination of this video. 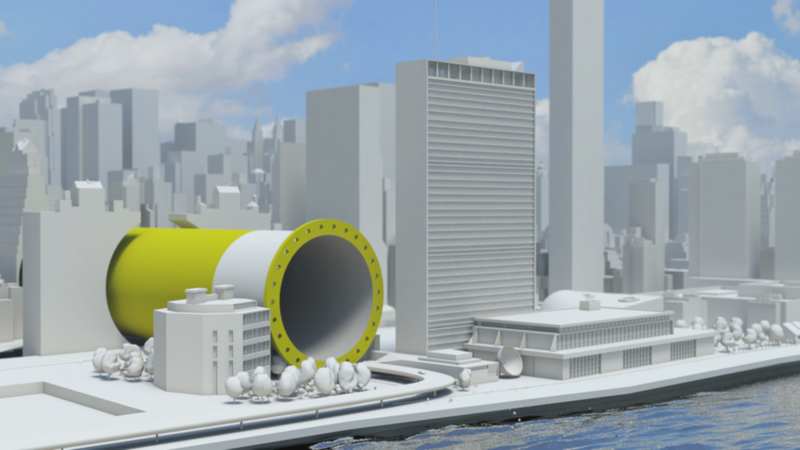 See how we can help cities engage their citizens in carbon issues. In 2010 (the latest year for which data is available) New York City added 54,349,650 metric tons of carbon dioxide to the atmosphere = 148,903 tons a day = 6,204 tons an hour = 1.72 tons a second. 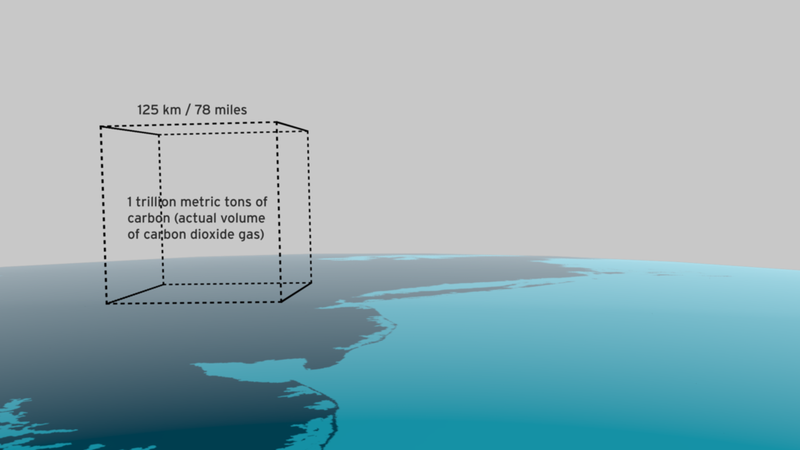 At standard pressure and 59 °F a metric ton of carbon dioxide gas would fill a sphere 33 feet across (density of CO₂ = 1.87 kg/m³). 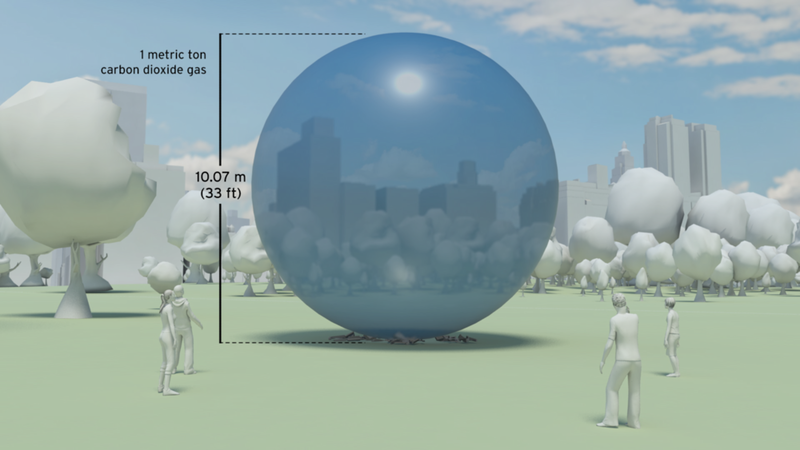 If this is how carbon dioxide gas was actually emitted in New York we would see one of these spheres appear every 0.58 seconds.